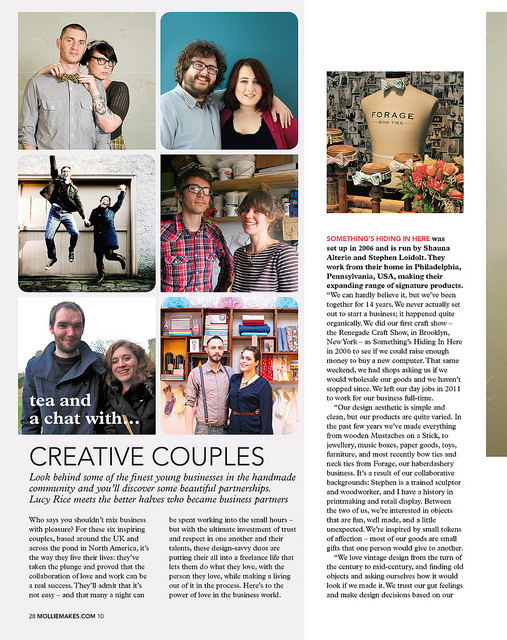 Last month, Mollie Makes magazine contacted us for an interview about creative couples and we are so chuffed to be one of the six couples they chose to print! Look! 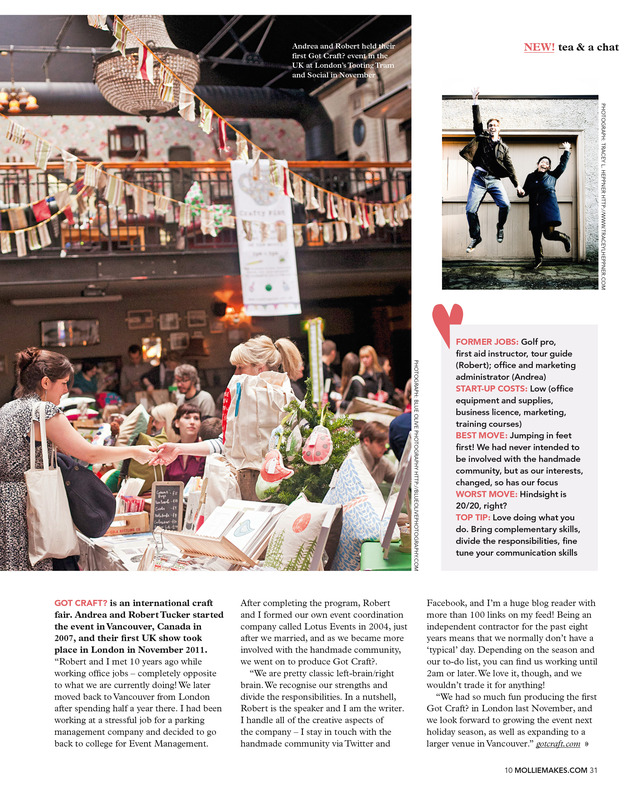 There’s us with Robin + Mould, Something’s Hiding in Here, Peris & Corr, abigail*ryan homewares, and ShipShape Studio. If you are in the UK, issue ten is out today, so go check it out! Woohoo!!!! Yay! Great article, you must be thrilled!!! Hello! Your online magazine looks great. Please feel free to send any inquiries to info (at) lotusevents (dot) ca – thank you! 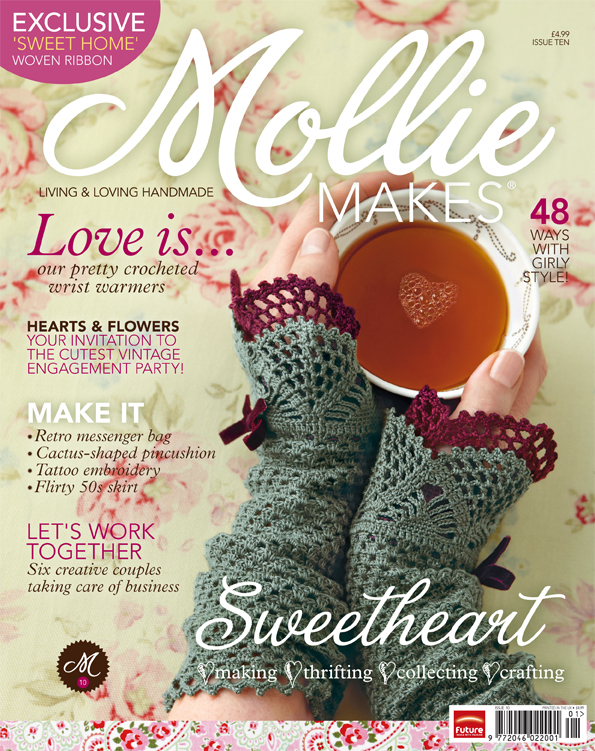 and it because of this mag that I am here reading your blog and checking out how you run things, Sadly I am in remote Scotland where we dont have the weather or the footfall to have events but I live via the wed and all things handmade are my passion. Good luck will all you do , craft is a labour or love and as long as you love what you do, keep doing it!